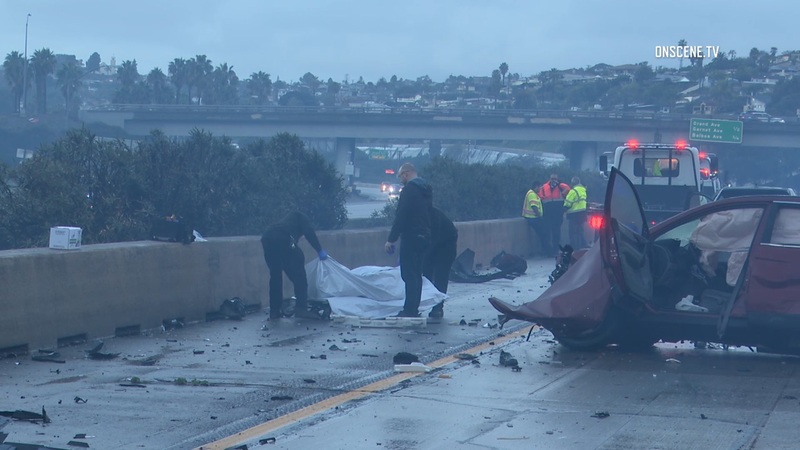 A man died when he was struck by a car after spinning out and crashing his own vehicle early Sunday morning on Interstate 5 in Mission Bay. The man, identified as 48-year-old Joseph Vito Berardino, was traveling on northbound I-5 near Clairemont Drive around 5:50 a.m. when he lost control and struck the center divide, according to information from the California Highway Patrol and the San Diego County Medical Examiner’s Office. Shortly thereafter, two other cars struck Berardino’s car, and then another car struck him and threw him to the ground, the Medical Examiner’s Office said. Multiple drivers stopped to assist. Paramedics responded and pronounced Berardino dead at the scene.